From your home screen, press the menu icon (on the bottom, the icon most to the left). Hold the HOME and Volume Down buttons. Please remember that a Hard Reset will erase everything inside your phone including your personal data, messages, contacts, installed apps, games, etc. 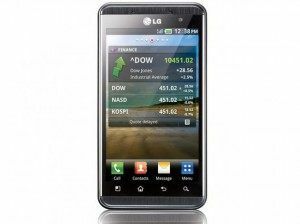 Your LG Optimus 3D will revert to factory default state after performing any of these hard reset procedures.